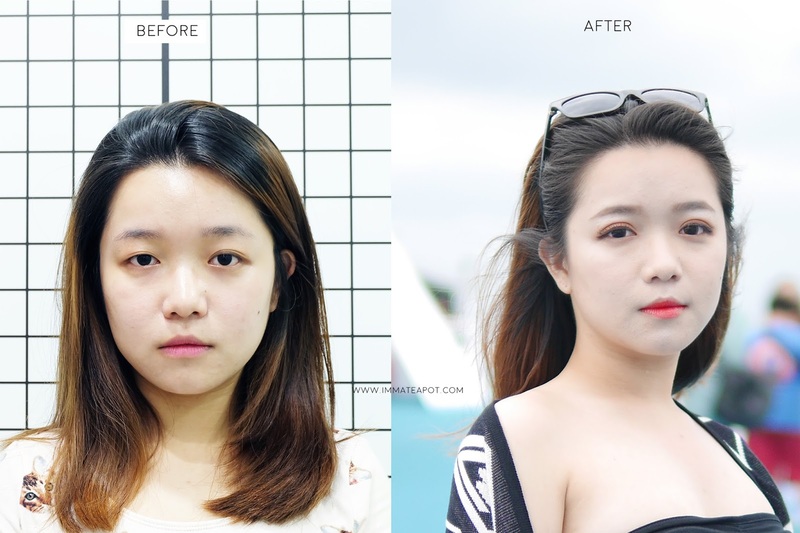 If you guys could recall that in the previous years I have shared about few posts with the title 'I did Plastic Surgery?' But it actually ended up with makeup transformation that gave a huge change on my overall look! Surprisingly, those postings were super welcoming! Yes! This time IT IS FOR REAL! I did something to my eyelids! I went for my very first aesthetic procedure. Finally, one of my last resolution for this year has been completed right before the year ends! Many of you may question, don't I have double eyelids already? Yea, it does appear on every single pictures of mine, I have double eyelid but it is not the perfect one. I have imbalance eyelid where one of my eyes do not have folds. I have to put eyelid tapes or even using eye shadow to create that crease. This is how both of my eyes look like before make up, the imbalance is obvious and my eyes actually have lots of folds in between. Most of my makeup was completed with double eyelid stickers. I have pondered for long to go for an eyelid surgery, not the cut one but the stitching one will do. I have waited and waited. I guess this is just the right time for me. I am one of those who really afraid of pain, you know the suffer and dilemma feeling in making such huge decision. It definitely require a lots of considerations, determination, as well as bravery. Too much to consider, what if it is a fail? What if I am allergic to the anesthesia/numb cream? What if it still turns out imbalance? There was once a huge beat on my bravery during the moment that my eyes got really swollen after the application of numb cream. Instantly, my bravery was beaten. I wonder if I wasn't the right candidate for double eyelid? Is that a sign to be told that I should just give up this surgery? I am scared and I gave up. On 10th of August, I was given an opportunity again. I just braved myself again and I told myself if I am allergic to the numb cream again, that's the sign for me to give up. This is the one last chance. Yes! 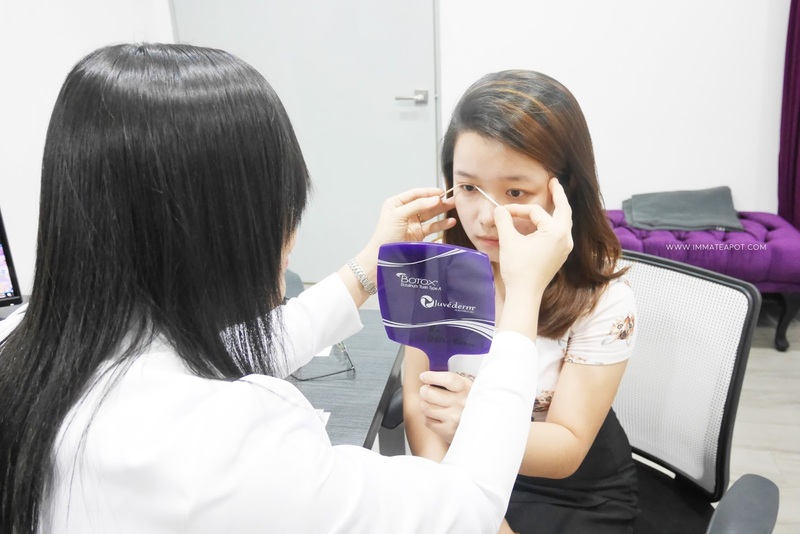 Here marks my journey of my double eyelid surgery (DST, Double Suture and Twisted Technique) with Clinic RX Bangsar. I feel really comfortable being in the clinic, like my own house! 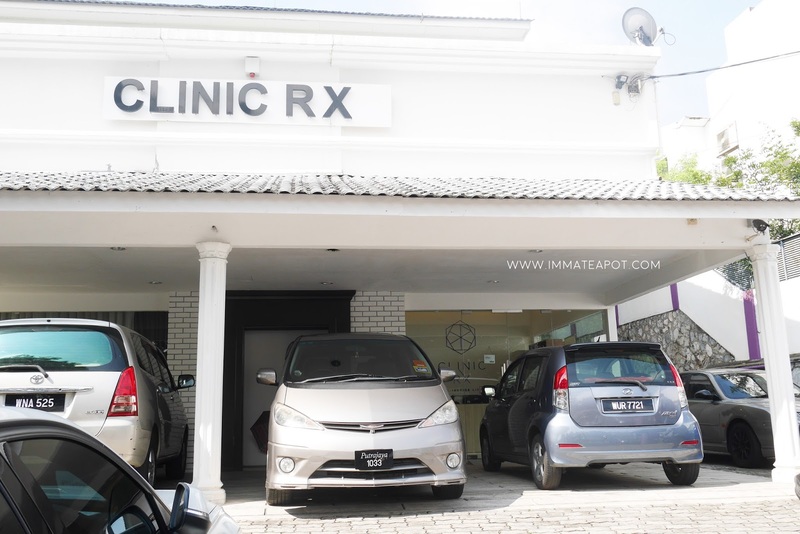 It doesn't look like a clinic at all! 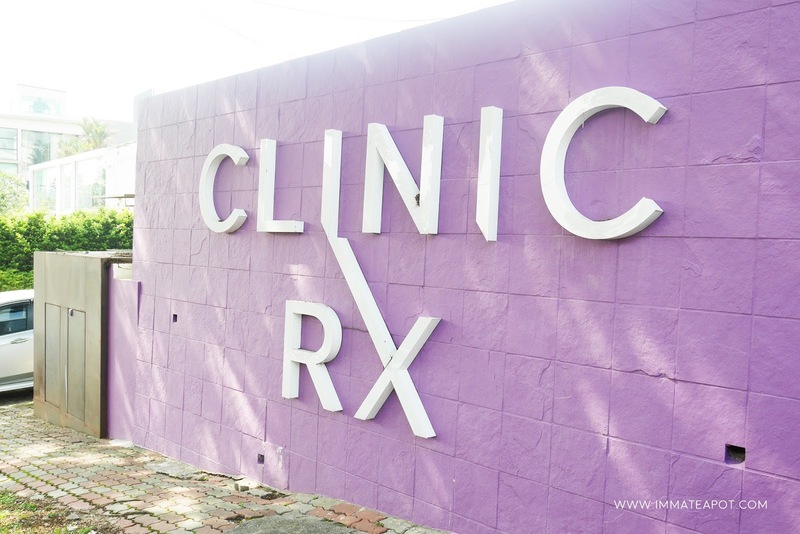 Spacious and hygienic environment, the doctors and staffs are super patience and friendly too! After filling up some forms, I was brought into a room to have a consultation session with Doctor Vicky. OMG. Dr. Vicky is super nice and friendly. She patiently answered every single questions I asked and explained every single steps of the procedure. she asked about my ideal eyelid height and told me which was the best height for my eyes. Initially, I wanted to go for the 'same' height as I wanted to even up my eyes, just to ensure both were balance. 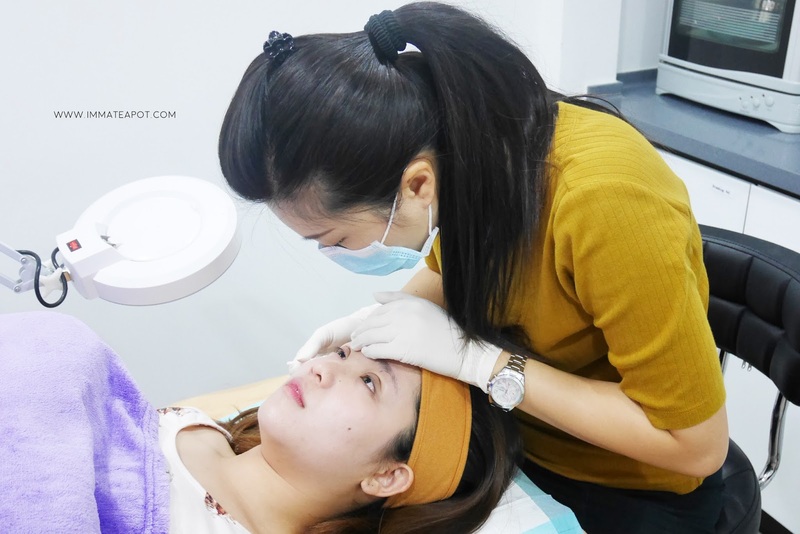 Dr. Vicky told me that it would be better if I go slightly higher than my usual eyelid due to the nature of my job as a MUA, it is much visible after putting on eye makeup and in the few years later the crease might just slightly fall due to skin aging. Ended up I went for high crease and parallel eyelid. 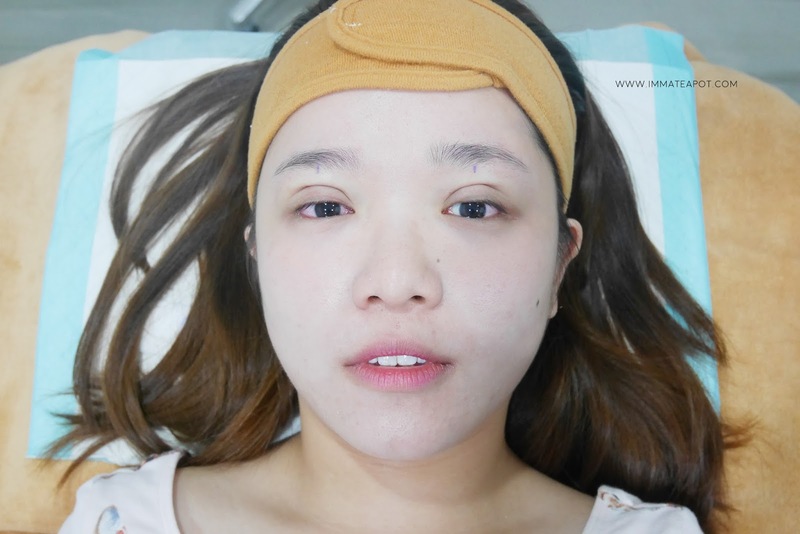 As I have told Dr.Vicky about my last experience where I was allergic to certain numb cream, hence she asked beauty therapist to put a tiny amount of numb cream near my eyes area and see if there was any reaction after. Fortunately, nothing happened to me and the procedure carried on. First step, the beauty therapist has to applied numb cream on top of my eyes area, to ensure I don't feel pain during the marking process and injection. The numb cream process took about 15 minutes, to ensure the numbness was fully penetrated. 15 minutes later, Dr. Vicky measured and did some marking on my eyelid. After marking, both of my eyelids were injected with local anesthesia from outside, as well as inside. The stitching process carried on. The beauty therapist helped cleaning up the remaining chemicals and marked on my eyes. Tadaaa ~ See how happy was I with my cheerful smile hehe! On day 1 (right after the surgery), it was absolutely normal that the eyes were swollen. I felt nothing at all after day 2. There were some bruises on my eyelids and I can felt that it slowly went off day by day. 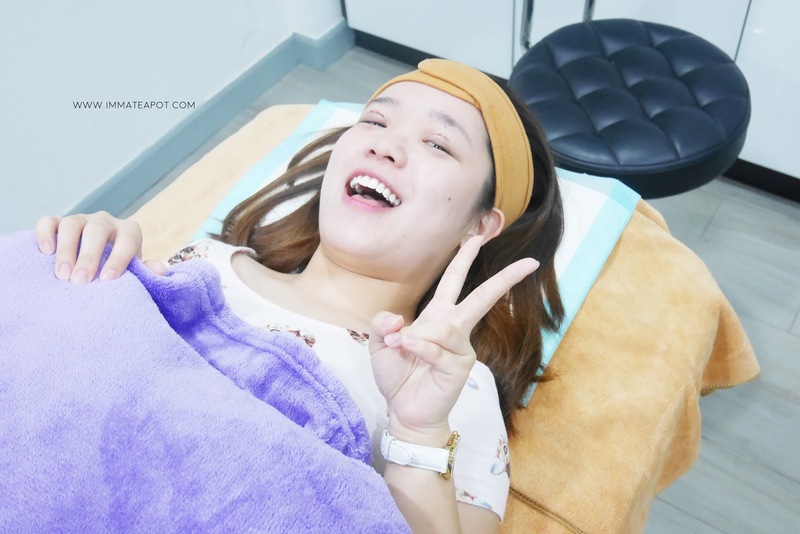 On the second week, I went back to Clinic RX for post consultation. Doctor said my condition was good. I was told that as I have ezcema issues around my eyes area, my eyelids are quite sensitive and it took longer time to recover as compare to others. In short, the recovery process pretty much depends on personal skin condition and food consumption. After a month, the condition of eyes were stable, the swollen has reduced by 90%. Here's the before and after pictures of me. You may check out my videos for more details procedure. Q1: Why do you insist to carry out DST procedure even after the failure in first attemption? Throughout the years, right after I started to put on makeup, I was using double eyelid tape to disguise myself for non-stoppable days. It has been 8 years and I was tired with double eyelid tape. 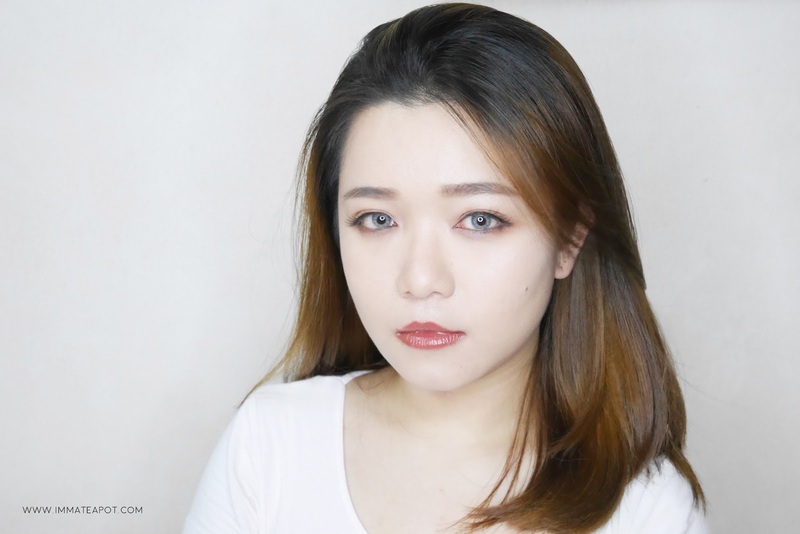 As an makeup artist, I hate uneven and imbalance eyelid. I just wanna look good even without makeup, with balance eyelid and I can do an much easier job in putting on eye shadow, as well as blending. During the first attempt, it did beat up my bravery towards DST, but then I believe the professionalism in Doctor Vicky from Clinix RX. Q2: Do you feel any pain during or after the procedure? Zero pain at all during the procedure and it was super fast. The whole procedure took about 25 minutes. 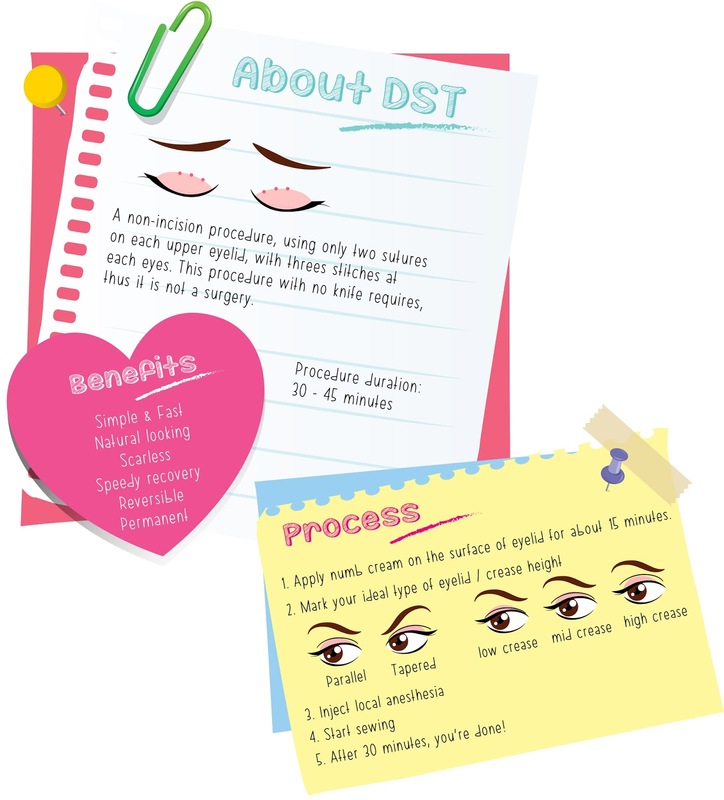 Q3: How do you feel after the DST procedure? I feel so much confidence and comfortable with my eyes. I do a pretty good job well too, during eye shadow blending. Definitely no more eyelid tape in life. Q4: Is there any downtime? Only some bruises and swollen. But then it heals over time. Q5: What shouldn't I eat after DST and how do I take care? For 2 weeks, I stop consuming seafood, peanuts and eggs. I was given antibiotic and some painkillers to consume after the procedure. I was required to attend post consultation after 2 weeks. 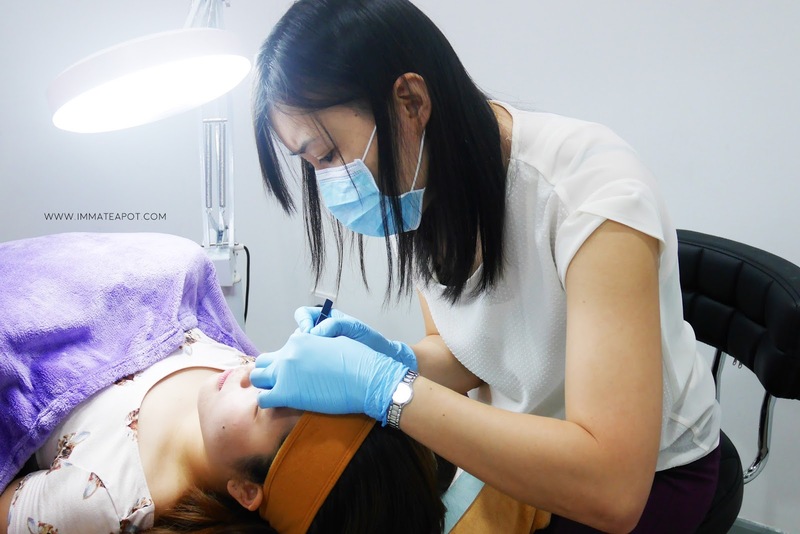 Personally, I think that the post consultation is important, as it gave a secure-ness / safety guarantee for me towards the procedure. Q6: How long can the double eyelid last? A life time, as it is permanent. This is why Clinix RX different from the others, unique technique and thread that can last as long as possible. 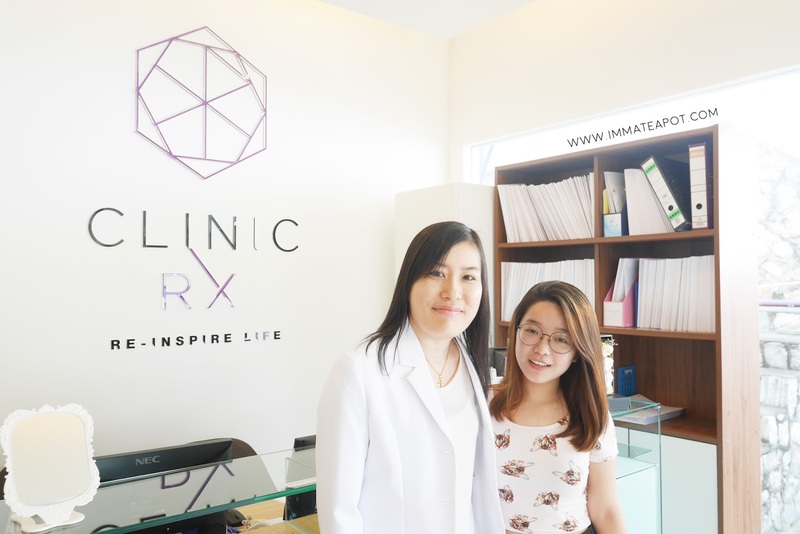 For more information, feel free to visit Clinix RX on Facebook | Website | Instagram. auch! you looks so pretty! Even though the procedure was on the lids, you overall eyes look so much more energetic. The lids are so defined now. Lovely. Wow you're so brave. I don't think i'm that brave to undergo all this process. Btw you're so pretty. Nice! I have single eyelids, maybe I can think about it. Does it hurt a lot? my wife did double eyelids as well, hers they just put 3 threads per eye to 'ikat' it up, and then it disintegrates over time, until now she has the double eyelid. 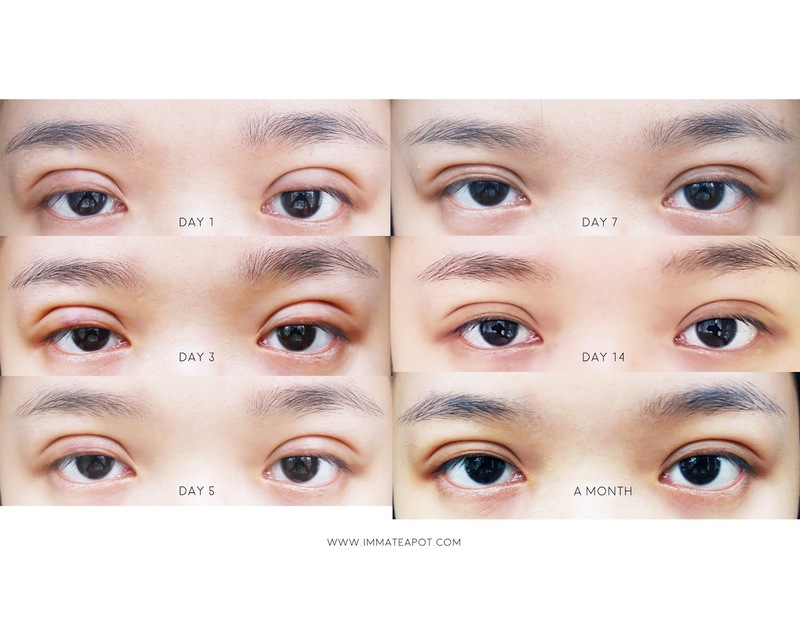 Oh, your eyes look amazing before and after the procedure. 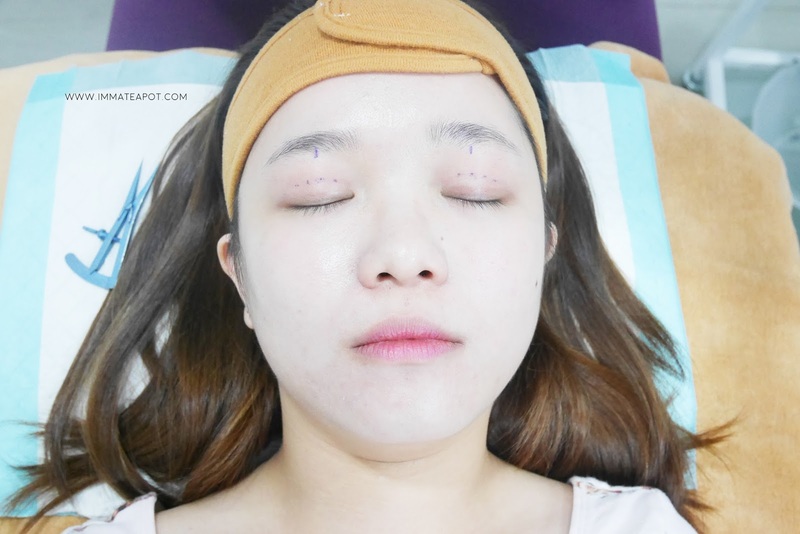 Having a double eyelid surgery was also my firstaesthetic surgery. I was really brave I suppose you were too. It is amazing how thanks to someone`s expertise you are able to wakeup with completely different look.